From initial design to project completion, WA Universal Rigging & Cranes has the ability to provide AutoCAD drawings to assist your next project. 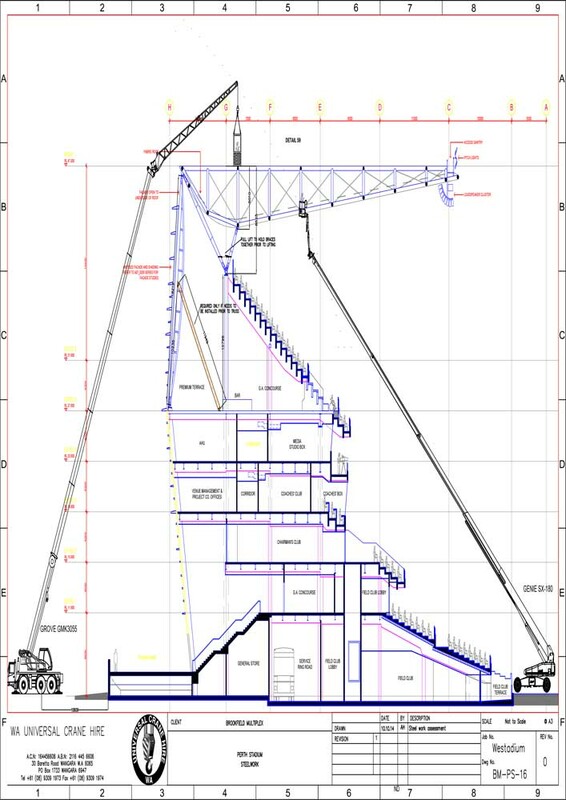 The team can create AutoCAD layout’s ranging from crane layouts to comprehensive lift plans for precast panels, tower cranes, multiple crane lifts etc. Contact WA Universal Rigging & Cranes today and one of our friendly staff can visit you on site today and discuss your project and provide an AutoCAD layout to satisfy the requirements of you and your client.